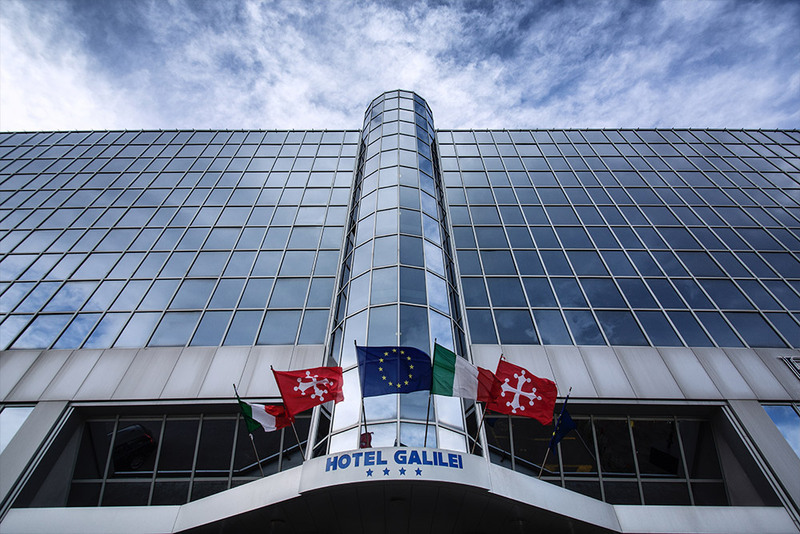 «A modern “crystal giant” watching over Pisa’s rooftops, Hotel Galilei is the place to go for your business trips or for a holiday, whatever you want to see in Tuscany. 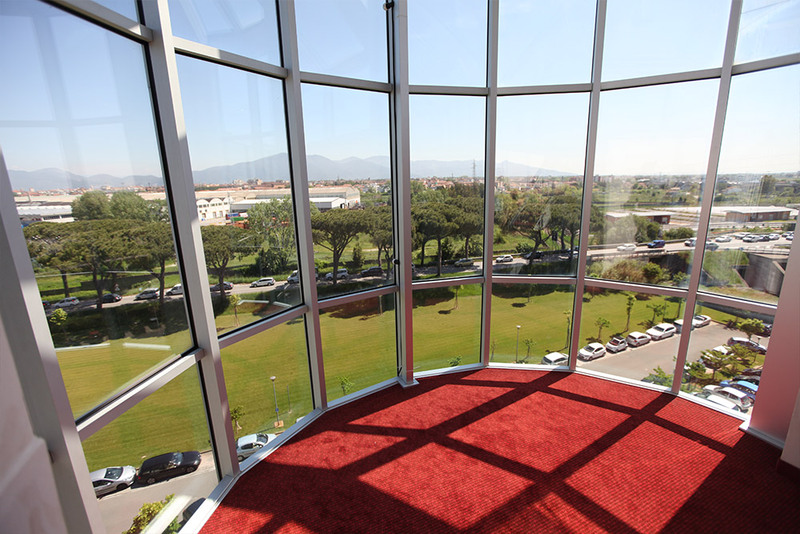 Located at the south gate to the city, near its international airport, it is the best “launchpad” to the whole world ››. 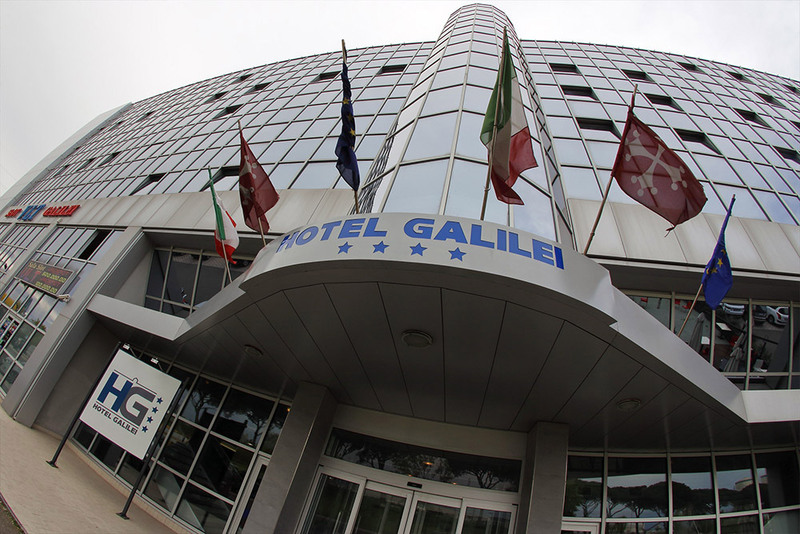 The elegance and comfort of a four-star hotel with impeccable service that makes comfort and a friendly welcome its winning qualities. 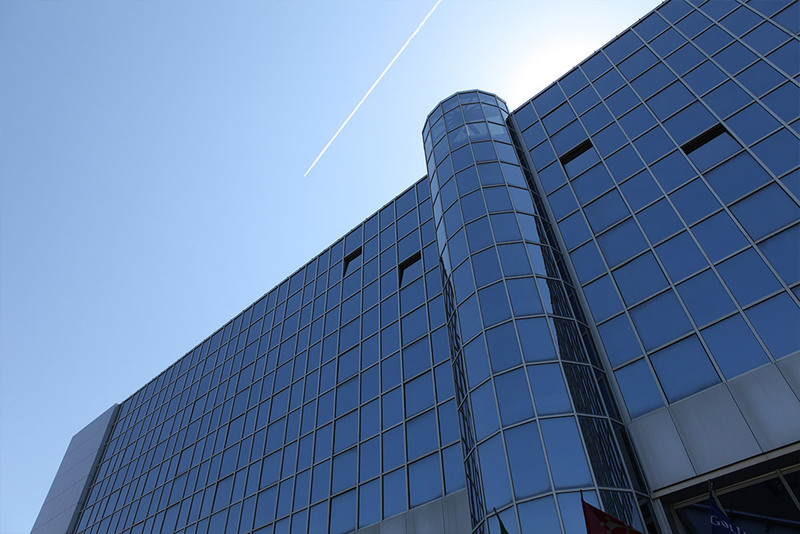 A modern building with contemporary, flexible facilities that are as close to the old city centre as to the main thoroughfares. 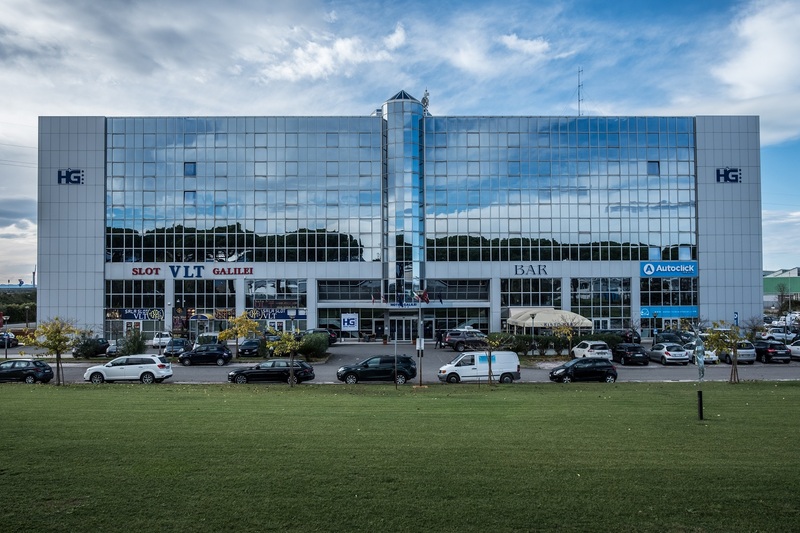 It’s a handy choice for its unique location, so that guests may quickly reach the city airport, the railway station in Pisa, the main motorways or the nearby trunk road Fi-Pi-LI to Florence. 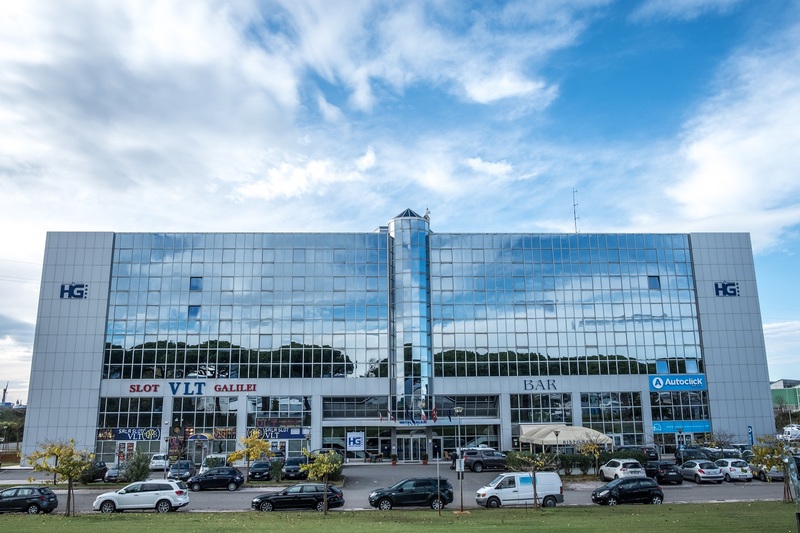 “Bistrot Galilei”, a quiet, high-tech place to work, with a bar and restaurant that is ideal for business lunches and lovely lunch breaks. Our hotel is pet friendly, our “pet friends” will be welcome and, as well as loving their stay, they will be free to roam around our large lush garden. 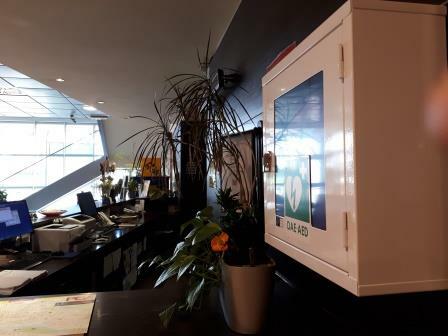 The Hotel, for the safety of its customers, has a automatic defibrillator (AED). The staff, in case of emergency, has been formed for its best use.